Leah Binder 12/20/12 FiDA highlight added to indicate my particular heroes! When I have a health problem, I talk to my doctor or nurse. But when our nation has a collective health problem, doctors aren’t the only ones who know best. While I could write a year’s worth of blogs about inspirational physicians or nurses who are transforming our health care system from the inside out, today I want to highlight some of the largely unsung heroes changing health care from the outside in: these are influential leaders who don’t wear stethoscopes or see patients, but have some important answers for us, from pilots and business leaders to game show titans and soccer moms. Their influence comes through social media, conferences, publishing and even some peer reviewed medical journals. My prediction: they will make some history in 2013. Did you know that a checked bag on an airline flight is still exponentially safer than a patient in an American hospital? John Nance is a former airline pilot and veteran, who has taken lessons learned from airline safety to dissect hospital safety – and found the latter wanting. His books on the subject, most recently, “Charting the Course,” co-authored with his wife Kathleen Bartholomew (a national change maker of major influence herself, but a nurse so not on this list of outsiders), create a fictional situation where hospitals are run with the same safety rules and procedures as airlines. The entertaining book challenges almost everything we assume about proper hospital administration. This Harvard-educated policy specialist is considered by many the father of “disease management” — and like all good parents, he’s the first to note when his offspring are misbehaving. Now he’s imposing some discipline. He’s concerned that the benefits of prevention initiatives are often oversold by overzealous consultants and vendors, so he wrote a category bestselling book “Why Nobody Believes the Numbers” to show how the rosy scenarios don’t always add up. Many self-insured employers have an astonishing little provision buried in their contract with their health plan: they aren’t allowed to reveal the prices they are paying for health services. The employers are allowed to pay the bills, of course, but they just can’t tell employees how much they paid. Thanks to Suzanne Delbanco, and her organization Catalyst for Payment Reform (CPR), ridiculous restrictions like that will soon be a thing of the past. CPR helps purchasers — large employers and unions — set rules for health plans on issues like pricing and quality of care. Your hospital usually makes money if a patient gets an infection during their stay and your doctor stands to gain financially if he gives you the wrong care. As a businessman, Francois de Brantes was outraged by the perverse incentives in health care that drive costs up and drive quality down. He formed a non-profit called the Health Care Incentives Improvement Institute to try to deal with the incentives problem, and his terrific collection of essays highlights his blunt and logical ideas for addressing them. Although de Brantes is not alone in calling for better economic incentives in health care, he is unrivaled in piecing together and even applying detailed strategies to the health care system, undaunted by the complexity involved. A study by the Harvard School of Public Health and the Rand Corporation concluded that one-third of people who were told they needed heart bypass surgery did not need it. Studies have also shown inappropriate CT scans, other heart surgeries, back surgery, pap smears, carotid surgery to prevent strokes and among others. Rosemary Gibson is a quiet and highly effective opponent of these rampant practices that harm millions and cost billions. Her much-discussed book, “The Treatment Trap” had a significant impact in the health policy world and put the issue of overtreatment into the spotlight where it belongs. If you are raised to think the combination of TV and health care equals Marcus Welby, meet David Goldhill, whose day job as head of the Game Show Network (GSN) belies his other self, a controversial thought leader in health care who is getting a ton of attention. Watch for Goldhill’s book to be published in the New Year: “Catastrophic Care: How American Health Care Killed My Father.” Until his father’s death, Goldhill never considered why the normal market competition rules that apply in other industries don’t apply in health care. He recommends some unusual policy ideas. When Tom Emerick was a global benefits executive for Wal-Mart, he discovered (with advice from Mayo Clinic and other leading medical experts) that thousands of his employees had been given transplant procedures when they didn’t need them, an unfathomable amount of suffering for people to endure. I wrote about the improvements that Tom made in a previous post, but it’s worth calling out again – Tom is a leading crusader for employers to protect the American public from unnecessary and dangerous procedures. There is no disagreement in the medical community that such harm exists; a recent consensus report from the Institute of Medicine found that one third or more of health services are wasteful. Tom helps employers address this issue. David Knowlton is a highly influential behind-the-scenes guy in New Jersey, who is a maverick in the best sense of the word, and has gained national attention as a result. He’s a leading advocate for transparency, safety and quality and has been awarded numerous national appointments in recognition of the respect he’s earned in his home state and the value of his ideas — and his ability to turn them into policies. For instance, he’s the co-chair of The Leapfrog Group’s Hospital Safety Score Committee. In addition to being a key influencer behind significant New Jersey legislation on quality and transparency over the years, he’s been unafraid to do what was right. He published prices of common hospital services long before anyone else in the country was doing so, and he did a survey of New Jersey nurses to get their reputational ratings of hospitals. Keep an eye out; he has plans for 2013.
common in American hospitals. Maureen Corry and her 94 year old organization, Childbirth Connection, bring together researchers, clinicians and patients to come up with solutions. Maureen is a strong policy advocate, but also a thoughtful and purposeful researcher who brings all sides together in very constructive ways, which is why many of the issues she has raised over the years are now on the top of the policy agenda in Washington. Look for her report next year on mothers’ perceptions of the childbirth experience. Wendy Lynch is a respected thought leader in the world of health benefits executives, and she’s a bit fed up. Now leading a unit of the think tank The Altarum Group, Wendy wants to see more boldness by employers in incentivizing employees to seek quality providers. Lynch and Altarum are likely to have significant impact in 2013. The bottom line: the science doesn’t support conventional wisdom on saturated fat, diabetes, obesity, diet and exercise. With his remarkable colleague, Dr. Peter Attia, he started a new organization called Nutrition Science Institute to support more research and assure that Americans hear directly from the scientists. Given the heavy emphasis on lifestyle and wellness under Obamacare — including a provision allowing employers to incentivize employee wellness with up to 30 percent of their health insurance premium — look for Gary to help dispel some unscientific myths that undermine these programs. So as you clink your glasses and wish your loved ones a Happy New Year, remember to look out for these trailblazers who will likely make a true impact on health care in 2013. 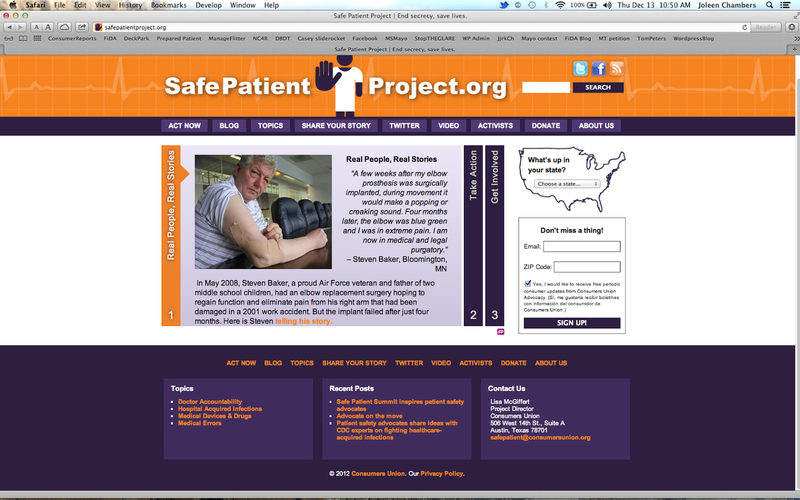 Steven Baker profiled by Consumers Union Safe Patient Project. Information on growing patient harm is suppressed by powerful interests that benefit from underfunded research and regulation. Taxpayers and consumers deserve to know which medical devices are safe and effective. (Especially now when joint replacements are the #1 expenditure of Medicare!) Patients deserve to know more about an implant device than they do about a toaster oven they are considering for purchase. Informed consent must include a discussion about the FDA 510(k) clearance debate and medical device Supreme Court pre-emption (Riegel v Medtronic) and tort reform that weakens patient protections when a device fails. The epic failures of various ICD's, surgical mesh and metal-on-metal hips were preventable. The device industry is not entitled to profit without accountability. 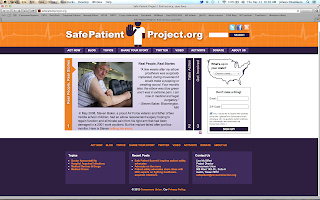 Please support Consumers Union Safe Patient Project! These patients are bravely telling their stories to benefit us all! Rep. Erik Paulsen (R-MN): Stop Cheerleading! "Our elected leaders must rethink in their endorsement of corporate interests over public health. 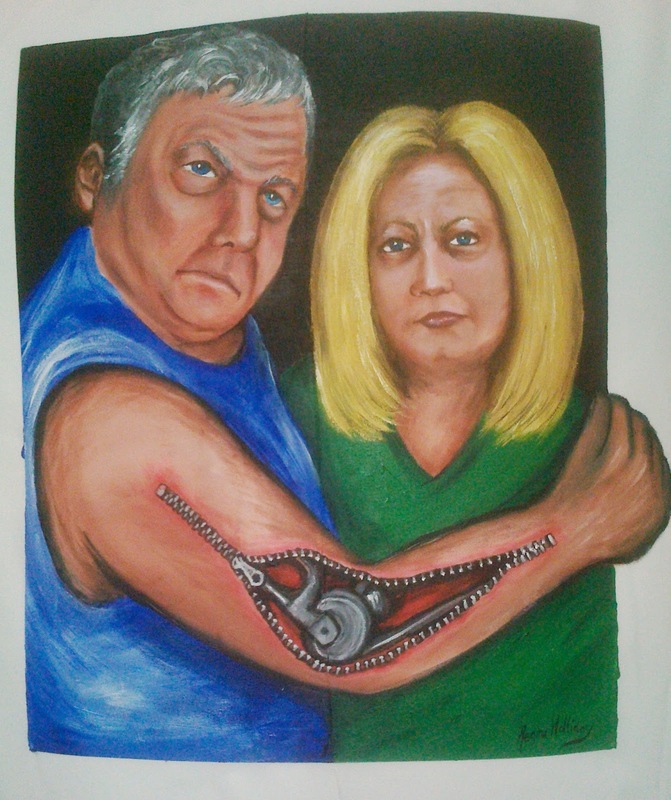 Failed implanted medical devices are a huge taxpayer expense. Joint replacements have become the #1 expenditure of Medicare and on 7/29/2011 the Institute of Medicine (in an FDA-commissioned study) determined that the majority of these implants were marketed through a flawed legislative process called 510(k). "Revision" surgeries are extremely expensive and subject patients to untold dangers including job and home loss. Cheerleading for more "innovation" may be profitable to legislators and the industry, but without balance, it will be a drag on our economy. Congressman Erik Paulsen's constituent services to patients with failed implants: FDA MedWatch #5009052 -silence-"
I agree with President Barack Obama. I agree with the president that we need to invest in manufacturing, and research and development. And, it is my sincere hope that he will work with members of Congress on both sides of the aisle to institute policies that will spur innovation, increase job creation, and keep manufacturing jobs here in America. A key sector where America’s global leadership is threatened is the medical technology industry. While other countries, especially Asian and European nations, are providing tax incentives for medical technology firms to do research, invest, and manufacture, U.S. policy makers are actively driving American innovators overseas. Unfortunately, some of the president’s policies are already causing dramatic jobs losses in medical innovation. Over the past two years, news headlines have highlighted thousands of jobs being eliminated from this dynamic industry: 1,050 from Stryker, 1,000 from Medtronic, 700 from Abbot, 595 from Covidien, 450 from Zimmer, 300 from St. Jude Medical, 275 from Welch Allyn. In Minnesota alone, 400 device companies, which sustain 35,000 high paying jobs, could be in jeopardy. The question must now be asked: What is driving these jobs away? The answer is a new $30 billion tax on medical devices in the president’s new health care law. It’s a 2.3 percent tax on revenue, not profit, and equates to a $30 billion burden being placed on the backs of medical technology companies around the country. A new study by Ernst & Young, released in mid-November, shows that the new excise tax will actually add another 29 percent per year in taxes to the amount the medical device industry already pays in federal income tax. Estimates from Congress’ bipartisan Joint Committee on Taxation already show that medical technology companies will pay about $8.7 billion in overall federal income taxes next year, with the device tax adding another $2.5 billion to that tab. The reality is if the tax goes into effect, the medical device industry will face one of the highest effective tax rates of any industry in the world. This tax will cripple job creation in an industry that has become a true success story for made-in-America manufacturing. The layoffs are proof that companies are no longer investing and innovating here in America. Instead, they are cutting operations, and in some cases, sending those jobs overseas. American manufacturers need a government that will partner with them to bring jobs back home and jump start our economy, not a government that builds barriers and prevents growth. I know that medical device innovation and high-tech manufacturing is important to Minnesota, and that’s why I’m working across the aisle to stop this onerous tax. The House has already passed legislation to repeal the medical device tax – with the bipartisan support from the entire Minnesota delegation. But, the bill still waits for action in the Senate. It is essential that U.S. medical device manufacturing remains a vibrant, innovative and successful industry that employs thousands of Americans. During the campaign, President Obama said he believes in American manufacturing. I do too. The president has an opportunity to help American manufacturing by working together with Congress on pro-growth policies that will prevent jobs from going overseas and help create new jobs here at home. It’s my hope that the president recognizes that the medical technology industry is one of those opportunities and will support the repeal of this burdensome tax. 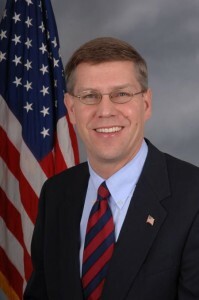 Erik Paulsen is the Republican congressman representing Minnesota’s Third U.S. Congressional District. Mary Brennan-Taylor (Consumers Union, Safe Patient Project) provides UB medical students access to the patient harm story that ended her mothers' life. Patient safety requires vigilance by medical staff to identify patient harm and investigate the source of the harm so that it can be corrected/eliminated. Unrealistic litigation fears have interfered with this partnership between patients and their health providers. Medical schools that recognize this conflict have invited harmed patients/families/advocates to speak. The conversations are poignant and appreciated by doctors-in-training. Inviting patients as stakeholders is essential and we all benefit from this balanced approach to improving healthcare. Harmed patients should not abandoned as lepers, but should be provided additional attention/care to help design a healthcare system that honestly benefits mankind. Young medical doctors in training want to join a profession where their ethical choices will be respected and valued. Victims of rheumatoid arthritis can develop problems with their joints throughout the body, including the knee and hip. These joints can be replaced with an artificial one with a procedure known as arthroplasty. Researchers affiliated with the University of Toronto (Toronto, Ontario, Canada) conducted a study to evaluate the complication rate of a total hip or knee arthroplasty among patients with rheumatoid arthritis, compared to patients with osteoarthritis. They published their findings online on November 28 in the journal Arthritis & Rheumatism. The researchers noted that most of the evidence regarding complications following total hip arthroplasty and total knee arthroplasty is based on studies of patients with osteoarthritis; thus, little information regarding the outcomes in patients with rheumatoid arthritis has been published. Therefore, they conducted a study with the objective of reviewing the current evidence regarding rates of total hip and knee arthroplasty complications in rheumatoid arthritis patients compared to osteoarthritis patients. The researchers reviewed data from Medline, EMBase, Cinahl, Web of Science, and reference lists of articles. They included reports published between 1990 and 2011 that described studies of primary total joint arthroplasty of the hip or knee and contained information on outcomes in 200 or more rheumatoid arthritis and osteoarthritis joints. Outcomes of interest included revision, hip dislocation, infection, 90-day mortality, and venous thromboembolic (blood clot) events. Two reviewers independently evaluated each study for quality and extracted data. Where appropriate, meta-analysis was performed; if this was not possible, the level of evidence was assessed qualitatively. The researchers concluded that the findings of their literature review and meta-analysis indicate that, compared to patients with osteoarthritis, patients with rheumatoid arthritis are at higher risk of dislocation following total hip arthroplasty and higher risk of infection following total knee arthroplasty. Arthritis is inflammation of one or more joints, which results in pain, swelling, stiffness, and limited movement. There are over 100 different types of arthritis. Rheumatoid arthritis is considered an autoimmune disease. The body's immune system normally fights off foreign substances, such as viruses. But in an autoimmune disease, the immune system confuses healthy tissue for foreign substances. As a result, the body attacks itself. Osteoarthritis is related to aging. In osteoarthritis, the cushioning (cartilage) between the bones wears away in the joints. As osteoarthritis gets worse, the cartilage disappears and bone rubs on bone. Bony spurs or growths usually form around the joint. The ligaments and muscles around the joint loosen and become weaker. Righteous indignation is typically a reactive emotion of anger over perceived mistreatment, insult, or malice. It is akin to what is called the sense of injustice. In some Christian doctrines, righteous indignation is considered the only form of anger that is not sinful. ReginaHolliday, the Walking Gallery, just completed this amazing jacket for my brother, Steven Baker. "Don't Tell Me To Zip It!" What you see in our eyes is not disappointment, but righteous indignation! The righteous indignation stems from research (my blog is an aggregate of that research) that easily uncovers a continuing systemic abuse of our government by elements of the entitled implanted medical device industry. The indicators are patient harm (mutilation, torture) and futile class action lawsuits that do not stop the perpetrators from exploiting others. This morning the Senate Medical Technology Caucus was briefed (with the FDA/CDRH) about the new “Medical Device Innovation Consortium” an unnecessary and redundant platform for the industry to influence regulators and legislators. Patients are the primary stakeholders. Patient engagement is a term that is not being honored. I am witness as a patient advocate who has dedicated much of my life the last 5 years to following protocol to determine why my brother’s elbow implant failed and to get him the care that he needs. It is clear to me that our government (FDA) is unable to assure that implants are safe and effective and subsequently unable to provide justice/assistance to correct the system so this does not happen to others. The cost of this failure to U.S. healthcare consumers is staggering, but the profit of the device industry is driving exploitive legislation and status quo medical practice. Public education and public indignation is coming. Ethical CEO’s must get out in front and lead the US medical device industry to embrace patient adverse event reports as an essential, timely mechanism to improve product. Please accept this as my application for MDIC membership. Please waive the $5000 annual fee. I represent patients harmed by failed implants with the goal of making implants safer and more effective. FDA/OSHI has interviewed me, I attended a FDA Patient Representative workshop and testified at 2 CDRH Town Hall meetings and the first MDUFA meeting 1/2011. I understand that MDIC is interested in inclusion of all stakeholders in this new 501(c)3 nonprofit partnership. I look forward to working with you. WASHINGTON — The Food and Drug Administration says it will collaborate with medical device manufacturers on a public-private partnership designed to speed up the development of new medical technology. The agency says it hopes to offer guidance to the Medical Device Innovation Consortium, a new industry-backed group that aims to simplify the design and testing of medical devices. Medical device makers have criticized the FDA for an overly burdensome review process, which they claim slows down development of important new therapies. Congressional Republicans have held several hearings to scrutinize the agency’s system. Faced with criticism from industry and Capitol Hill, the FDA has been highlighting efforts to slash red tape and accelerate review times. The new consortium was created by LifeScience Alley, a Minnesota-based industry group that includes leading manufacturer Medtronic Inc.